The development of stronger resin (tooth colored) filling material for restorations has been a major focus of dentistry for several years. Dental insurance companies have been covering composite fillings on the upper and lower front teeth, where the cosmetic benefit is crucial, and now we are seeing that coverage being extended to the posterior molars with some dental insurance companies. Insurance coverage for composite fillings have, in the past, been downgraded to the lower priced amalgam fillings, now we are seeing some dental insurances covering the composite fillings on the posterior (back) molars. Another benefit of the composite material is that is becomes bonded to the tooth structure enhancing the strength of the tooth as it adheres to the tooth rather than simply being a filler like the silver, amalgam fillings. The composite material can also be made to match the color of your tooth whereas the amalgam filling cannot. Not only is the amalgam filling silver in color, it has a wider range of expanding and contracting which over time can lead to cracks in the filling and tooth itself. The resin, composite is much less likely to cause fractures and cracks in the tooth. Esthetically pleasing and durability are two positive factors when choosing the composite filling. Although studies show that amalgam fillings, which contain mercury, are safe, there is still a release of low levels of mercury in the form of a vapor that can be inhaled and absorbed by the lungs. 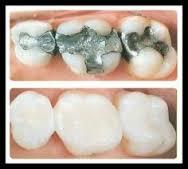 Most of our patients here at Today's Dentistry prefer the composite fillings versus the amalgam filling. Almost 100% of the fillings we do at Today's Dentistry are composite, giving our patients cosmetically pleasing, durable and strong teeth. If you have questions about composite/resin fillings, please contact our office at 1-317-849-2933. As a preferred Fishers Invisalign Dentist, the benefits for using this clear aligner (tray) system goes above and beyond straightening teeth. And with that, the thought of straightening teeth is no longer only for the younger population. Invisalign technology has paved the way for people of all ages to gain not only a cosmetically appealing smile but correction of teeth alignment to allow for easy flossing and cleaning. This is a big plus for patients whose teeth crowding and misalignment has caused periodontal concerns not easily deterred by floss and toothbrush. Invisalign gives an answer to a problem that without active and persistent home care could lead to “periodontal disease”, “gum recession” and potential premature loss of teeth. Recently, more and more of my older population patients have taken the step to Invisalign. It’s a system that uses clear "invisible" aligners that are easy to maintain and with follow up appointments to deliver new aligners and check on progression of movement, patients are able to ask questions and see the improvement quite easily. As an added bonus, we provide teeth whitening gel that patients can use in their Invisalign aligners to brighten their smile. Invisalign, yet another aspect of dentistry that has improved and grown over time. Who knew that Invisalign would not only be seen as an “invisible” way for adults to straighten their teeth but a simple and advantageous way to keep gums healthy, protect patient’s teeth and provide a brighter smile! If you would like to schedule a consultation, please contact Today's Dentistry at 317-849-2933 or click on Invisalign for more information. With new dental technology and improved ways to perform dental services, the words “fear of the dentist”, “dental anxiety”, and “dental phobia” should be the thing of the past. But without getting the word out, those feelings and words remain ever present for more than 40% of the population. Here at Today’s Dentistry we offer a way to help patients with their fear of dentistry and give them a way to get necessary dental work done, improve their dental and overall health and give them the smile they deserve. It’s called oral conscious sedation dentistry. Sedation Dentistry has allowed our patients the option of completing their dental needs in an ease and comfort they never experienced before. Although the medications used with oral conscious sedation have been around for decades, it has only been recent that these medications have been used to allow dental patients the ability to complete quadrant dentistry void of fear, anxiety and the general frustration they used to feel when having dentistry done using traditional topical numbing and numbing through injections. The use of Nitrous (laughing gas) helped some patients but the use of sedation medications in conjunction with Nitrous while being monitored, proves to be so much more beneficial for these patients. It alleviates their anxiety and fear while getting all or most of their dental work done in one visit. Over the course of several years I have found sedation dentistry to be one of the biggest factors in getting my patients with dental anxiety to say “yes” to treatment. In fact, many of those patients have referred their friends with dental phobias and anxiety to Today’s Dentistry to get their much needed dental work completed. It gets these patients on the road to improved oral health and mentally frees them up to schedule their routing cleanings. The biggest part to maintaining their dental health is scheduling those routine cleanings and exams. Knowing there is the option of Sedation Dentistry keeps them scheduling these ever important maintenance appointments. A big success story for our patients with dental anxiety. For more information about Sedation Dentistry or to schedule a sedation consultation call 317-849-2933 or click on the words Sedation Dentistry. Fear and anxiety should no longer be associated with dentistry. According the CDC (Center for Disease Control) tooth decay remains as one of the most common diseases in early childhood. Experiencing tooth pain is something that is all too common but in many ways preventable, especially when that pain is brought on by decay that could have been avoided by taking a few easy steps. Brushing daily is a great start to healthy teeth and gums but another way to combat tooth decay and protect your child’s teeth is with Fluoride. Fluoride is added into the structure of developing teeth when it is ingested through drinking fluoridated water and is known to protect teeth when put on topically. Although Fluoride cannot repair or reverse cavities it can help repair teeth damaged by the acid produced by bacteria that builds up, by dissolving the acid, re-mineralizing teeth and protecting the enamel of the tooth. Asking what age to bring your child in for his/her first dental appointment is a question we often get from parents. Family Dentistry is an integral part of care given at Today's Dentistry. Your child's first dental appointment can be as simple as Dr. O’Neil doing a visual exam as early as one year of age, but the age of an actual hygiene cleaning can vary depending upon the cooperation of the child. Usually around the age of two the hygienist can count the teeth and do a visual check. We call that “a ride in the chair”. If more can be accomplished during that first appointment, then all the better! We see many children in our office so, here at Today’s Dentistry, making sure your child is at ease and comfortable is our top priority. We want to make sure that first trip to the dentist is a pleasant experience and one that is looked forward to and not feared. We know that a pleasant and happy 1st dental experience for a child builds trust and positive memories for future dental visits. We know that parents really appreciate the care we take in providing their children with a great dental experience. It’s a win, win!! Here’s a quick peek into a typical child cleaning at Today’s Dentistry. Did you know that every two seconds, someone needs blood? And that when you donate blood you are saving three lives! My trip to the Indiana Blood Center at Allisonville and 116th Street in Fishers, IN, took me less than an hour total and that included filling out paperwork, a small prick of my finger to get my iron level and 7 minutes and 38 seconds from the needle going in to the bag getting filled. It's really that simple and the people there are so kind and caring. Donating blood is safe and it's like getting a mini physical. In the process I got my iron tested, my blood pressure and pulse taken and I will learn my cholesterol level in just five days after donating. In addition, all donated blood is tested for HIV, hepatitis B and C, syphilis and other infectious diseases before being released to hospitals. Most of us have been affected by cancer in some way or another and with more than 1 million people a year being newly diagnosed, the donation of blood is crucial. Other diseases like sickle cell and liver diseases can also require blood transfusions. 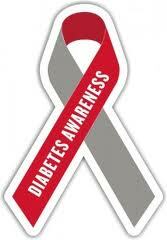 Also consider a single accident victim that can require multiple blood transfusions. So, you can see the need being great as more than 44,000 blood donations are needed each day! Working with Dr. Michael O'Neil at Today's Dentistry, we recommend regular exams and cleanings every six months. Why not consider adding a blood donation to your "to do list" and save a life. Take an hour or so out of your day and donate. It's that simple. Check out the video and you'll see what I'm talking about. Maybe you'll consider donating. Contact Jennifer at 317-916-5059 and schedule your appointment or visit the Indiana Blood Center at www.indianablood.org You'll be saving lives!! Invisalign Clear Aligners Straighten Teeth and Help with Oral Hygiene! Fishers Invisalign Dentist, Dr Michael O'Neil, has a new way to straighten teeth without braces. Invisalign uses a series of clear, removable Aligners to gradually straighten teeth, without metal or wires. But the benefits of Invisalign goes beyond just straightening teeth to provide that beautiful smile you have always wanted, it also provides for easier cleanings. Properly aligned teeth are easier to brush and floss which can lead to better oral health. Invisalign uses 3-D computer imaging technology to depict the complete treatment plan from the initial position to the final desired position from which a series of custom-made Aligners are produced. Good Oral Hygiene Can Save Your Life! Our patients know that we care about them and that we do what we say we will do. Your smile is important to us, so we use the latest technology to keep it beautiful and healthy. Once we determine your dental needs, we'll work with you on a plan for the smileof your dreams. Watch this video for some great advice on good oral hygiene. Call our office for a free consultation today! Oral Cancer Screening Could Save Your Life! Visit our website to schedule your free consultation!